Although there were already vineyards in the tenth century, and it is known that in 1888 more than 15 million kilos of grapes were produced in the area, the origin of the D.O. Dates from 1991. The territory of D.O. Extends from part of the municipal area of ​​Valladolid (Pago “El Berrocal”), to the Palencia of Dueñas, including Cabezón de Pisuerga, Cigales, Corcos del Valle, Cubillas de Santa Marta, Fuensaldaña, Mucientes, Quintanilla de Trigueros, San Martín Of Valvení, Trigueros del Valle and Valoria the Good. The climatology of the region is of continental character with Atlantic influence, reason why the thermal oscillations predominate. The rainfall is irregular – with an annual average of 407 mm. – and in summer the drought is intense; The winters are hard and prolonged with frequent frosts and mists. Frutos Villar arrived in Cigales in 1960, founding our current winery which currently has 105 hectares of Tempranillo vineyard in its entirety. 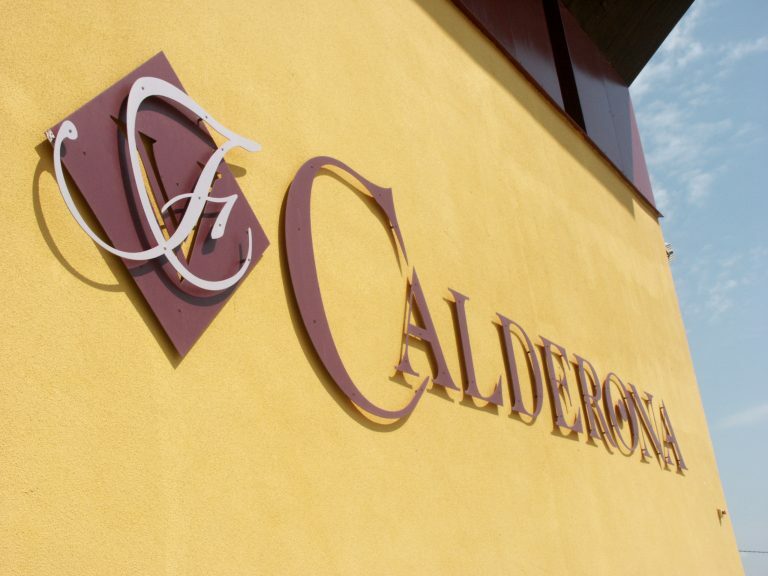 The good work of generations has made Calderona and Conde Ansúrez, the wines we make in this DO, have placed Frutos Villar as the leading winery in this DO. At the beginning of the 60’s (twentieth century), the career of the family Frutos Villar continues its renewal and progressive pursuit, forming its second winery in the lands of Cigales (Valladolid – Spain), wine area with Denomination of Origin, offering fresh wines and aromatic. In its constant concern for the quality of its products, Frutos Villar begins with a thorough control of the vine orienting its investments both to purchase its own vineyards, 99 hectares, and to adopt the most modern and advanced technology. In this way tradition and technology are two concepts that define the good performance of Frutos Villar, which, with an almost century-old experience, presents its best wines today, thanks to the care of expert hands and the knowledge of many years. The dedication and constant effort made during all these years by Frutos Villar has been rewarded with the loyalty of some customers who have made possible that Frutos Villar is located within the main companies of Castilla y León.